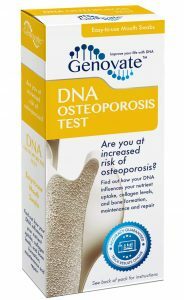 Home Health General Health Did you know DNA can affect your bone health? Instead, Tyra and Angelina, and their super-star cheekbones, attest to the fact that behind true beauty, there is perfect bone structure. Perfect jawlines, high cheekbones and flawless teeth, are not shaped by the skin, but by what lies underneath – the bones. Bones not only define the shape of our faces, they provide the rest of our bodies with structure, act as reservoirs for minerals like calcium, and protect vital organs. Bone is a living tissue, which is why broken bones can heal, and braces can perfect our smiles. Old bones are removed and new bones are produced continuously throughout our lives. Unfortunately, aging makes bone remodelling much less efficient, leading to osteoporosis. Osteoporosis is known as the “silent thief”. People don’t experience any initial symptoms, as their bones become less dense, more porous and prone to breaking. Many factors contribute to bone health, including gender, diet, physical activity and genetics. However, genetic variation stands apart from the other risk factors. 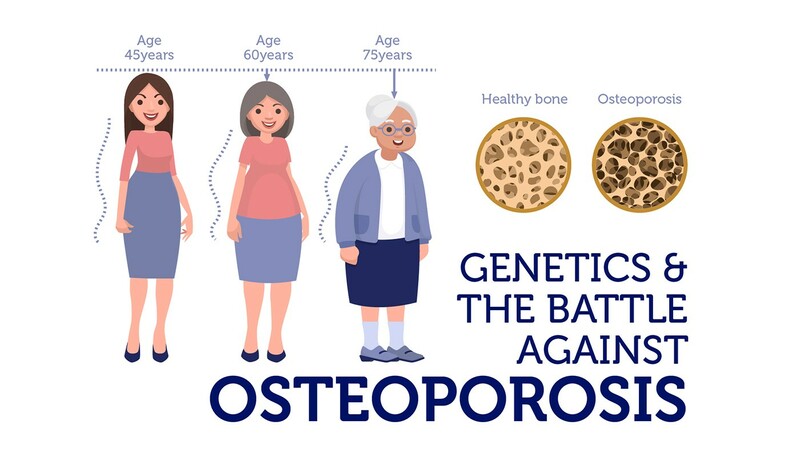 Genetic variants help us predict the risk of osteoporosis early in life, providing an opportunity for early intervention and prevention. DNA changes in five genes – CYP2R1, GC, GDF5, WNT16 and COL1A1 – can affect the risk of developing osteoporosis. Strong bones require calcium. Vitamin D controls the amount of calcium absorbed from our diet. Not surprisingly, two of the genes influencing the risk of osteoporosis, CYP2R1 and GC, are involved in vitamin D intake. 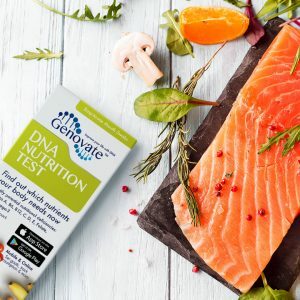 The CYP2R1 gene encodes an enzyme responsible for converting vitamin D to an active form that can be used by the body. The GC gene gives instructions to make a vitamin D binding protein, required for the absorption and the transport of vitamin D. Several genetic variants of CYP2R1 and GC are linked to lower vitamin D levels, which leads to poor calcium absorption and use. GDF5 and WNT16 encode proteins in two pathways that control bone development and repair. If you inherit a version of these genes with reduced function, you are more prone to osteoporosis. The COL1A1 gene encodes a component of collagen. Collagen is the most abundant protein in our body. 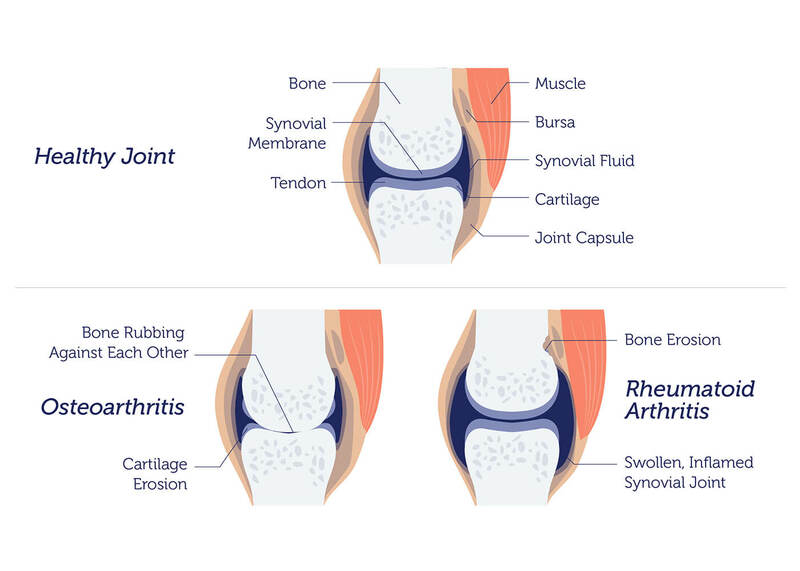 It supports our bones, cartilage, tendons and even skin. One variant of this gene is linked to lower bone density and increased risk for osteoporosis. Osteoporotic fractures affect at least 1 in 3 women and 1 in 5 men over their lifetime. Hip fractures caused by osteoporosis lead to more hospitalizations than stroke, diabetes or heart attack. Once treated for the initial fracture, less than half of the patients are able to return home; the rest need further treatment, rehabilitation or long-term care. A high-calcium diet, increased vitamin D intake and physical activity can do wonders for maintaining strong bones. But these preventative measure are much more effective if implemented early on. We reach our maximum bone size and strength (peak bone mass) by 30 years of age. This means to maximum impact, preventative strategies need to be implemented while we are young. 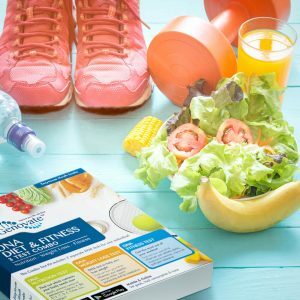 These are the facts; so the question is, are you willing to make informed lifestyle choices based on your genes to keep your bones strong and healthy? 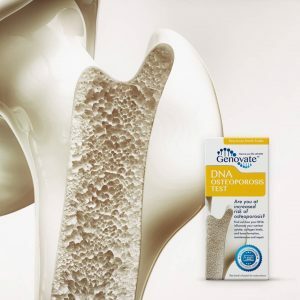 Find out if you are taking proper care of your bones with the DNA Osteoporosis Test. Previous articleDid you know DNA determines if aspirin protects you from colorectal cancer? Next articleDid you know DNA influences your risk of Alzheimer’s Disease?